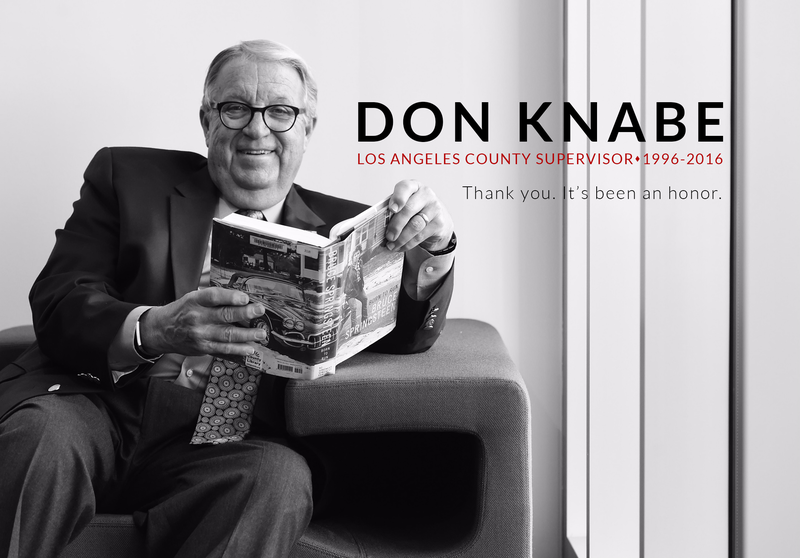 To help ensure the County’s unparalleled standard of fiscal prudence remains long-term, the Los Angeles County Board of Supervisors today approved amending its “Budget Policies and Priorities,” due to a motion made by Chairman Don Knabe. The revisions will help position the County financially to meet future economic challenges, while protecting public services and programs. Over the past decades, Los Angeles County has established itself as a national model of fiscal responsibility. The Board has enacted numerous reforms to curtail growing pension costs and retiree healthcare spending, and created a sizable “rainy day” fund to help the County weather the Great Recession. In turn, the County’s conservative budgetary practices have been rewarded with significant credit and bond rating increases, allowing for more investment back into the communities. Setting aside funds to buy down retiree health care costs, address deferred maintenance on County property, fund low income housing and other critical capital projects, and to pay debt service requirements on future infrastructure projects. Requiring a four/fifths requirement by the Board of Supervisor on any revisions to the “Budget and Fiscal Policies,” as well as labor agreements that impact salaries and employee benefit cost increases. Following today’s approval, the proposed policies will be reviewed by the Chief Executive Officer, Auditor-Controller, Treasurer-Tax Collector and County Counsel and a report will be issued on September 30 with necessary recommendations.